I’m not sure what’s going on with this year, but my stress level has been through the roof lately. I’ve informed everyone at work to schedule my nervous breakdown for November. If I warn them in advance, will it be okay to take to my bed and stare at the walls? On a daily basis, I find myself juggling way too much. It’s inevitable that some balls will drop, and then I feel guilty. After all, aren’t women supposed to somehow handle it all without freaking out? I’m not saying that men have less to handle, necessarily. But when Kenny has a huge to-do list, he gives himself a few weeks to get to what needs to be done, and the piling amount of work doesn’t seem to faze him that much. But with me, I need to get through my lists daily, or it all comes crumbling down. This week, I have the usual five classes to teach every day and the resultant large stack of essays to grade. On top of that, I’m finishing up college recommendations for the students I teach who are doing what’s known as “early action,” which means they get into college before everyone else. I admire their drive. It just makes for a lot of letter-writing on my part. I’m also doing a project proposal for making the literary magazine I run at work have its own app. I don’t know how to make an app, but I’m hoping someone in the building can help me. And I’m taking a leadership course this fall that comes with 18 hours of homework. Oh, and then I run this blog, which I love, not to mention how much I love eating the desserts I show you all. So I’ll do my best to hold off on that breakdown if you let me eat all these chocolate chip cookie cheesecake bars myself. Are we agreed? 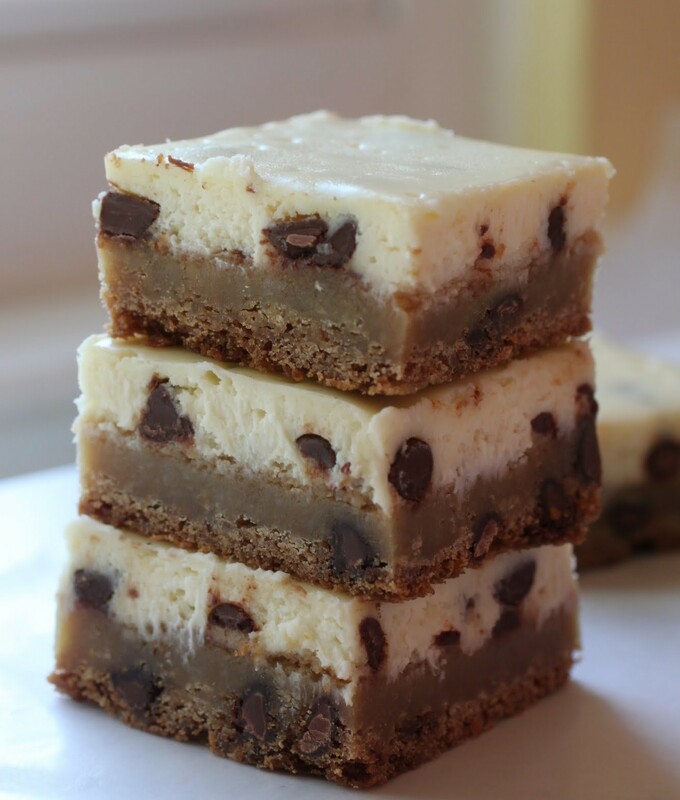 The base of these bars is a standard chocolate chip cookie dough which gets mostly baked before the cheesecake layer is added to the top. When I make cheesecake for bars, I keep the batter very low in sugar. The fact that the cheesecake is rich and full of chocolate chips coupled with the cookie base means that you don’t need the extra sweetness. 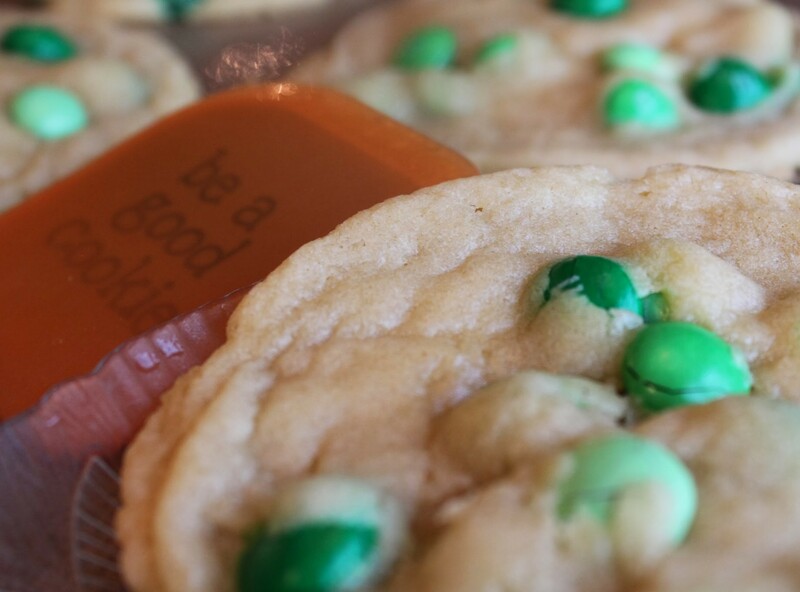 There’s really no way that these won’t become a household favorite. Even though I admit that my stress level is way out of whack lately, sharing desserts like this gives me unending pleasure. Whether you just gaze at the pics or decide to make some yourself, enjoy whatever stolen moments the day can bring. Calm breathing, everyone! In the bowl of a stand mixer, beat the butter and brown sugar until light and fluffy. Add the eggs one at a time, and then mix in the vanilla. Add the dry ingredients and mix until just incorporated. Mix in the chocolate chips. Spread the dough into the prepared pan and bake for 20-25 minutes until mostly baked. The center can still be a little jiggly. While the bottom layer is baking, make the cheesecake batter. In a medium bowl, mix the softened cream cheese with the sugar until smooth. Add the egg and vanilla and stir again until completely incorporated. Mix in the milk chocolate chips. Pour the cheesecake batter onto the chocolate chip cookie layer. Spread the batter out evenly. Bake for 20-25 minutes until golden at the edges and set. Cool completely. Refrigerate overnight and cut into squares. When I was a young and inexperienced baker trying to make up recipes, I didn’t have much success. I mean, I was 15. The process of creaming butter with sugar was a completely terrifying prospect. And whipping egg whites until stiff peaks form? I still remember doing it by hand one day. It worked, but I was traumatized. Now, many years and one Kitchen Aid mixer later, I am much wiser. But I still remember fondly the recipes that were not epic fails when I was just starting out. And one in particular that I kept making time and time again were these cookie cupcakes. Because they worked. And because they were actually delicious. 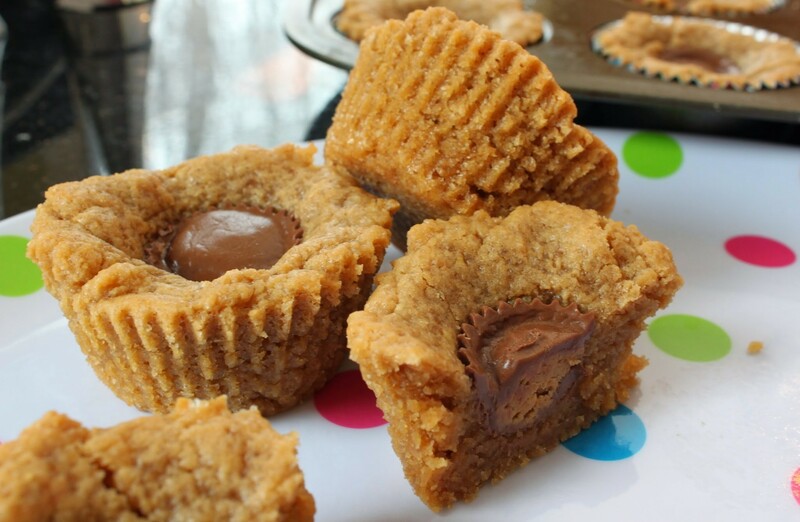 These are peanut buttery without being too sweet or over-the-top intense. They remind me of classic peanut butter cookies: same flavor, same happy nostalgic feel, same need for the glass of milk. But there’s more in each serving, more to bite into. The middle is nice and soft while the edges are chewy. And best of all, they have that Reese’s cup in the middle. Sounds like you have a lot going on, Mir! Hopefully you can take a little break and indulge in these cheesecake bars. They look amazing! I definitely can’t resist any kind of cheesecake either. This would definitely cheer me up after a long day! Definitely a lot happening, Gayle. But I’m trying to breathe and eat cheesecake! Sounds like a busy time for you. Cheesecake is always a good way to take a break! I was never a cheesecake fan until I went to the Cheesecake Factory in the U.S a few years ago and had the most amazing cheesecake. Now I am hooked! I had the same experience! That place made me love cheesecake. Now there’s no going back! Mir, cheesecake + chocolate chip cookies = a match made in heaven if you ask me. These are perfection! and the juggling?! oh my gawd, I am with you sister. . it’s like I don’t know what to do with myself unless I am juggling a million things at once but then I stress a little and drive my family crazy :P. I don’t know anyone who has it all together and who doesn’t freak out from time to time. . and the app?! what?! and leadership course? but hey, I say go for the things that challenge you! keep your mind growing and learning. . I read somewhere that people who exercise their brains and their creativity (blogs) on a daily basis are happier people .. happier and crazier? 🙂 Anyway, I believe it and am one of those people! you can do it! 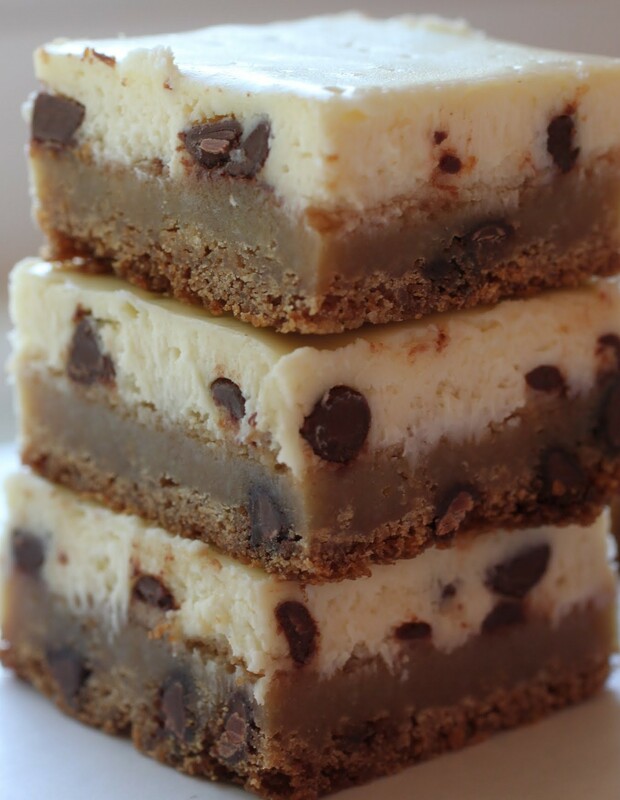 It’s time to take a break and enjoy these cheesecake bars! chocolate chip cookies and cheesecake are the ultimate combo! They’re absolutely my ultimate combo, Jen! These bars look fabulous! 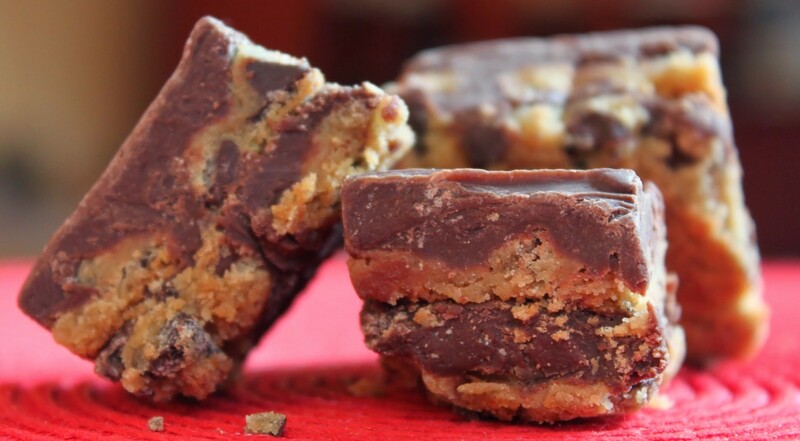 Chocolate chip cookies and cheesecake are my two favorite desserts, so these bars are basically EVERYTHING. Pinning! Thanks for pinning, Medha! I’m glad I got your favorites in one place! Most people do, and those who don’t confuse me, Renee. Thanks! good luck Mir, looks like you have a lot going on. 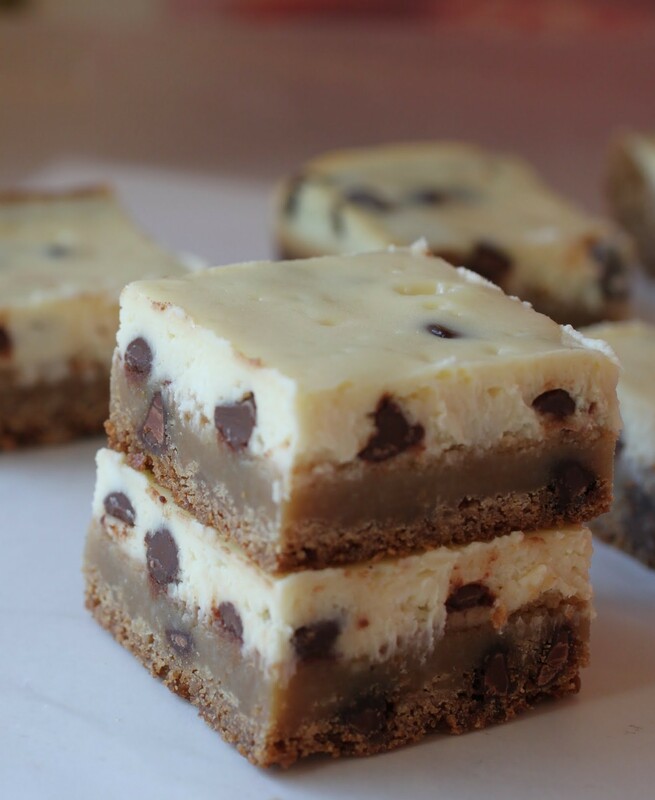 I am sure these cheesecake bars helped you calm down a bit because they look incredible! Thanks, Manali! Breathe and sugar. Breathe and sugar. My mantra! You poor thing. I am so with you! My nervous breakdown happened yesterday. 😀 I didn’t even have to schedule it! We women are natural-born multi-taskers who need to do…..EVERYTHING. Hang in there. It’s a good thing you have these amazing bars. I LOVE cheesecake so much. And with choc chip cookies?? I’m in love! Seriously? Oh, no! Hope you’re doing better now, Michele! Ugh, I’m sorry about all the stress! I’m with you – nervous breakdowns in November. Maybe we can room together at the funny farm??? But only if you bring these! You are very busy Mir and this makes it hard to handle stress… Hope things bet better! Love that you combined 2 of my favorite desserts in one! Can’t wait to try it! Thanks, Mira! I’ll get it under control, I hope! You have a LOT going on, wonderful Mir! I hope one of the things on your list (and I am a list girl too) is taking care of your sweet self – preferably with one of these delicious cheesecake bars! Hang in there! Thanks, equally wonderful Kate! Dessert is always on the list, thank heaven. Exactly. Why let the good stuff go? We have to cherish what we love, Cheyanne! Girl! 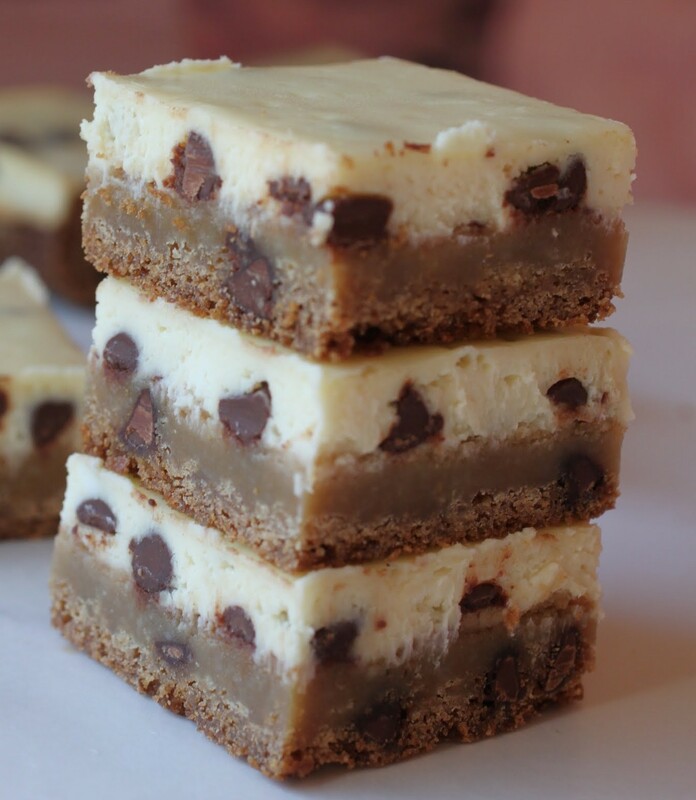 You need TWO of these cheesecake bars! You sure have a lot on your plate! I really REALLY don’t know how you do it all AND still manage to put up these amazing recipes day after day – you ROCK! Thanks so much, Trish! I think two at least would be good for all of us! Made the Chocolate Chip cheesecake bars for my Mom’s Birthday treat and they turned out great! I used dark chocolate chips since my Mom likes those and we loved the treats!